On Monday, Blue Ocean Equities initiated coverage of Aurora Labs Ltd (ASX:A3D), an industrial technology and innovation company that specialises in the development of 3D metal printers, powders, digital parts and their associated intellectual property. 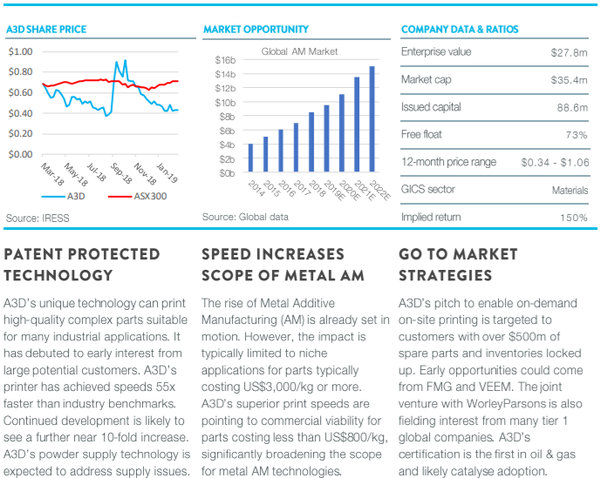 Analyst, Justin Pezzano, is bullish on the stock saying, “Aurora Labs’ (A3D) proprietary technology is set to improve cost economics and could lead AM (metal additive manufacturing) into the $4 trillion large-scale metal manufacturing market. Pezzano has placed a speculative buy recommendation on the stock with a price target of $1.00. 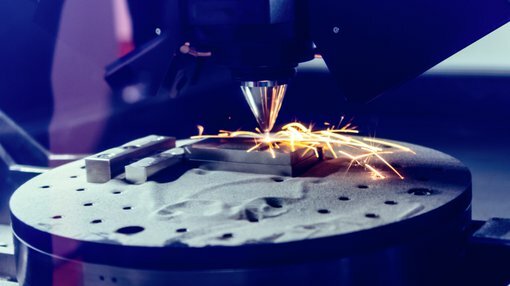 In the last 12 months, Aurora has made significant progress on the development of its proprietary 3D printer and powder technologies in pursuit of its aim to transform how metal parts and products are manufactured. As indicated below (in yellow), Aurora Labs hasn’t been short on market moving news flow, but many of the positive developments coincided with the sell-off in equities that occurred in the second half of 2018. Consequently, the company’s share price is struggling despite its apparent merits. Pezzano’s price target implies upside of approximately 150% to yesterday’s closing price of 39 cents. Significant progress has been made with Aurora’s Rapid Manufacturing Technology (RMT) which recently achieved speed increase to 113 kilograms per day or 55 times faster than Market Speed and proving scalability of RMT using its proprietary Multilevel Concurrent Printing (MCP) process. The MCP varies from traditional 3-D printing in a number of ways. Primarily though, with traditional 3D printing, a digital part (3D model) is run through software which slices the digital part up into a series of very thin layers. 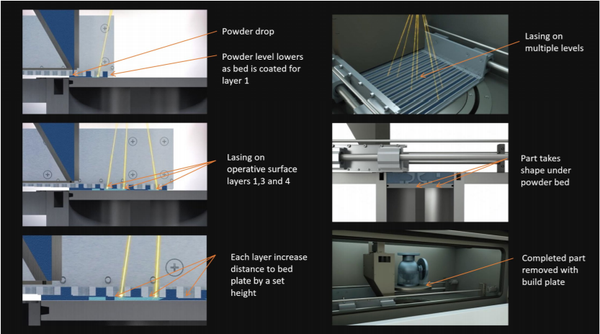 The printer puts down a layer of powder on the print bed and then the first “slice” of the part is fed digitally to the printer and an energy beam (laser, e-beam or other) scans the surface of the powder bed, melting and fusing the powder in the exact shape and dimensions of the slice. This process is repeated and the next layer fuses to the previous one, forming a homogenous part. This process is repeated until all the slices have been printed. Once printed, what is left is a complete replication of the digital part that has now been printed out of metal. By comparison, in Aurora’s unique MCP process, multiple layers of powder are laid down at the same time. During the powder laying process there is an area behind each individual powder gate where printing can take place (operative surface), meaning that printing can occur on these multiple operative surfaces simultaneously (Multilevel Concurrent Printing). By using a number of gates, MCP printing can be significantly faster than traditional 3D printing processes. In other developments, the finalisation of a 50/50 Joint Venture (JV) AdditiveNow2 will provide additive manufacturing services to the oil and gas and major infrastructure sectors. There has been further expansion to Aurora’s Industry Partner Program with the signing of preliminary non-binding agreements with VEEM Ltd and subsidiary members of Fortescue Metals Group (ASX:FMG). This is a snapshot of Pezzano’s take on Aurora Labs, highlighting its proprietary technology, diversified applications, scalability of its technology, competitive advantages and early stage collaboration agreements with blue-chip players.